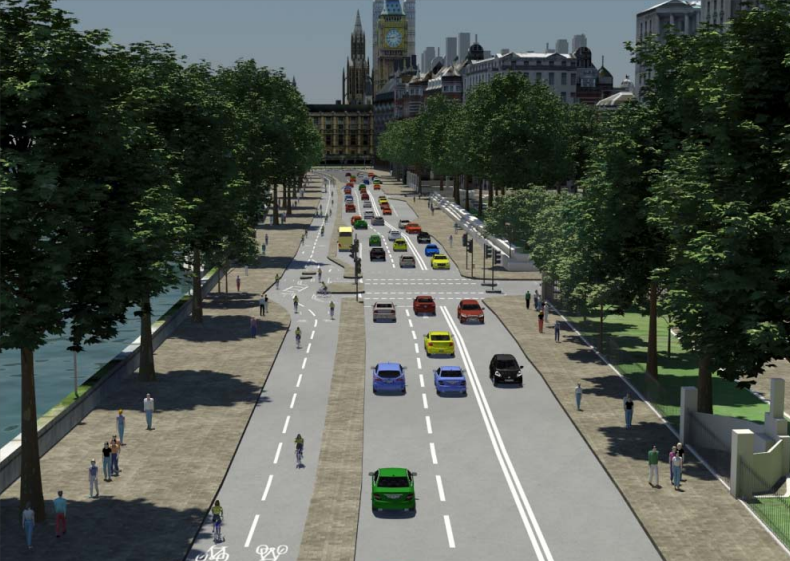 London’s Mayor has a new cycling vision – can we join in? 1. A Tube network for the bike. London will have a network of direct, high-capacity, joined-up cycle routes … A ‘bike Crossrail’ will run, substantially segregated, from west London to Barking. Local routes will link with them. There will be more Dutch-style, fully-segregated lanes and junctions; more mandatory cycle lanes, semi-segregated from general traffic; and a network of direct back-street Quietways, with segregation and junction improvements over the hard parts. 2. Safer streets for the bike. London’s streets and spaces will become places where cyclists feel they belong and are safe. … With government help, a range of radical measures will improve the safety of cyclists around large vehicles. 3. More people travelling by bike. Cycling across London will double in the next 10 years. We will ‘normalise’ cycling, making it something anyone feels comfortable doing. Hundreds of thousands more people, of all ages, races and backgrounds, and in all parts of London, will discover that the bike has changed their lives. 4. Better places for everyone. Our policies will help all Londoners, whether or not they have any intention of getting on a bicycle. Our new bike routes are a step towards the Mayor’s vision of a ‘village in the city’, creating green corridors, even linear parks, with more tree-planting, more space for pedestrians and less traffic. Cycling will promote community safety, bringing new life and vitality to underused streets. Our routes will specifically target parts of the Tube and bus network which are over capacity, promoting transfers to the bike and relieving crowding for everyone. Cycling will transform more of our city into a place dominated by people, not motor traffic. leap from the page (page 10, in this case). But most excitingly for Richmond, the mayor wants to create some ‘mini Hollands’ – “a fantastic opportunity for these boroughs to achieve dramatic change – not just for cyclists, but for everyone who lives and works there.” Richmond could bid to be one of these, with tens of millions of pounds being earmarked for real change, showcasing just how great cycling provision can enrich the lives of everyone in our city. If you think this sounds like a great vision, tell us, tell your local councillors, or maybe write to the local paper. Or, just bask in the naked optimism and real ambition that this vision represents. This entry was posted in Campaign and tagged Go Dutch, LBRUT, TfL by Campaigns. Bookmark the permalink. Cllr Harbourne has said (Thursdays Rich @ Twick Times)” I want to make sure that Richmond gets the (Little Holland) money.” Does she appreciate that that will entail a total redesign of Richmond/Twickenham centres and if so does she think that her colleagues would consider such a thing ?